There are several reasons for couples to marry in Germany. For some, it is close family bonds since a lot of expats, especially those from the busy financial centers of London and Frankfurt come home to marry in the company of family and friends. 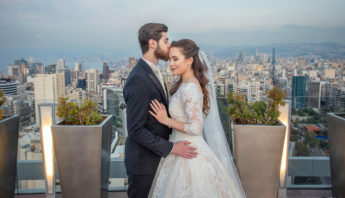 Some of the most popular cities, rich with history, art and culture, that brides and grooms choose for their destination wedding in Germany include Munich, Berlin and Dusseldorf. These cities provide art masterpieces that make perfect settings for ceremonies and receptions as well as activities for wedding guests to enjoy in their free time such as musical programs and local German cuisine. For others, it’s the plethora of beautiful German castles, churches, and villas that make it a wonderful dream come true. Germany has a mild climate during the summer months and is a very multifaceted country. 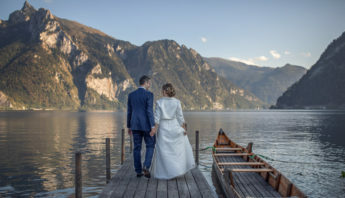 The Bavarian Alps, the Black Forest and the Danube River offer several wedding venue opportunities, including one of the most popular ski resorts, Garmish. The mountains of Bavarian Alps in the south towering above lush green valleys filled with small hamlets, mountain chalets and quiet villas greet those who want something unique. Garmish and the other resorts in the mountains offer wedding ceremony and reception venues as well as accommodations for guests that range from cabins to chalets. The southern state of Bavaria is home to many castles, like the famous Neu Schwanstein or Heidelberg’s Castle close to the mineral hot springs of Aachen or Baden, as well as a gold mine of Baroque churches that will charm your soul. For a vineyard wedding, brides and grooms can choose a venue in Freiburg or for a medieval style wedding, Regensburg on the Danube may be the ideal location in Germany. In Germany a regular wedding costs between 10,000 and 20,000 euros, wedding couples spend averagely 13,000 euros on their wedding, calculated for 60 guests. In comparison, a similar-sized wedding in the United States costs 30-35,000 euro. The wedding budget is different by regions: while in Hamburg 29% of the wedding couples spend 10,000-15,000 euros on their wedding, most of the Berlin couples (36%) spend only 6,000-10,000 euros. 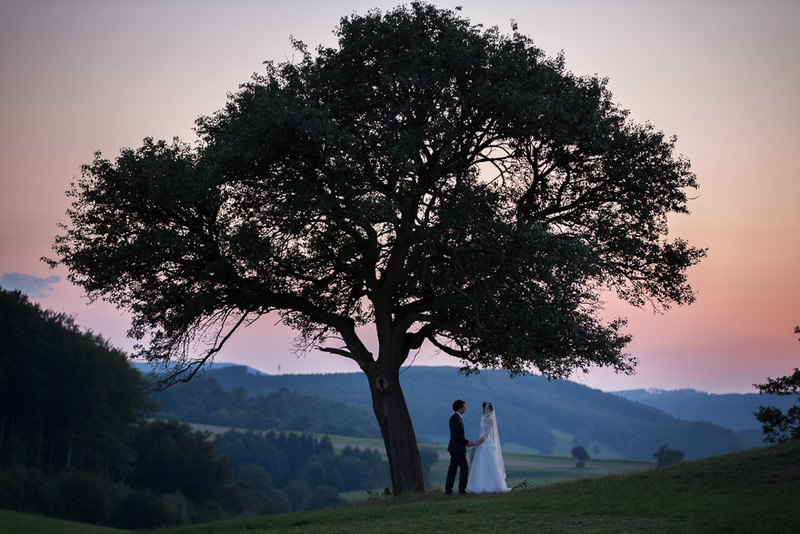 In Baden-Württemberg, Bavaria, Bremen, Hamburg, Hesse, Lower Saxony, North Rhine-Westphalia and Saarland weddings cost in the range of 10,000-15,000 euros mostly. In Berlin, Brandenburg, Rhineland-Palatinate, Saxony, Saxony-Anhalt, Thuringia and Schleswig-Holstein wedding couples spend 6.000-10.000 euros most of the time. While the above numbers are averages, a high-end wedding with top vendors costs well above 20,000 euros in Germany. 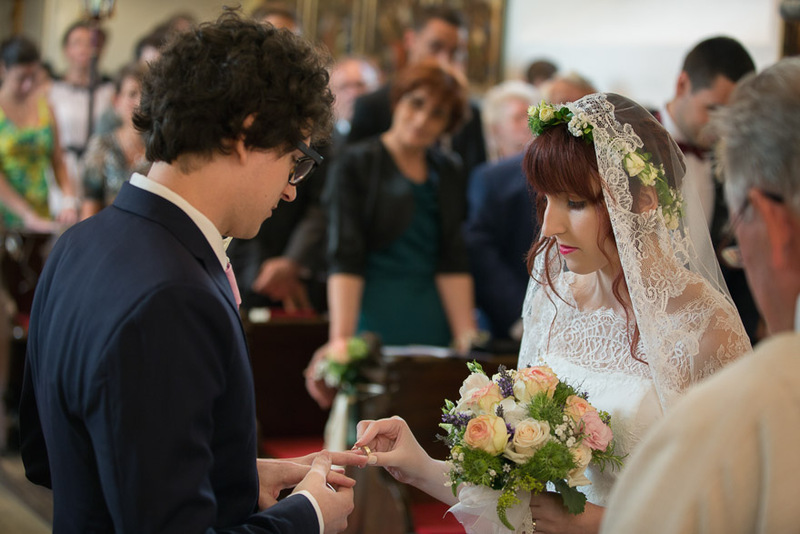 Getting married in Germany is quite easy for EU citizens and foreigners alike. The main limitation is that you must live there for 21 days before the date of your marriage. In order to hold a wedding ceremony in Germany, you have to apply first for a marriage license at the German Consulate. To complete the marriage license application, both of you have to provide a valid passport and copies of an original or certified birth certificate. Fees vary and are higher for non-nationals. Unless you both speak fluent German, you must bring a translator to your ceremony. You will also need two witnesses over the age of 18. The mandatory civil wedding ceremony takes place at the local Office of Vital Statistics (StandeSamt). It is located in the Town Hall (Rathaus) and you must notify your chosen hall previous to your marriage. You have to pay 50-100 euros for the wedding ceremony normally but if you choose a Saturday or one of you is from abroad, you have to pay more, 200-300 euros. A public ceremony including fees and a flower decoration might be up to 1,000 euros. A Champagne reception after the wedding ceremony costs around 2 euros per person. German law states that only a civil ceremony is binding, but you can organize a church blessing after the legal part is complete. Most of your wedding budget will be spent on the venue and catering in Germany. A wedding menu or buffet costs at least 35 euro per person and calculating with 80-100 guests, that is 2,800-3,500 euro for the food only. We have to add to this expense the wedding cake (150-300 euros) and drinks (10-25 euros per person), coffee and coffee cakes. We already speak about 80 euros per person for the catering. The wedding venue costs 150-500 euros on the average in Germany, which is usually free in those cases, when the owner delivers the catering service, too. Special locations might charge more than 2,000 euros. The bride’s attire consists of the wedding dress, accessories, jewelry and brides spend in the range of 1,000 and 5,000 euros. Wedding dress prices are between 300 and 4,000 euros in Germany, however by wedding dress rental you can reduce your expenses. Bridal shoes are priced between 60 and 500 euros in Germany; you can save money by not purchasing designer bridal shoes with an inflated price, but rather buying an elegant light-colored pair of shoes from a regular shoe manufacturer. Hair jewelry prices are in the range of 20 and 800 euros, while a wedding veil costs between 500 and 500 euros in Germany. 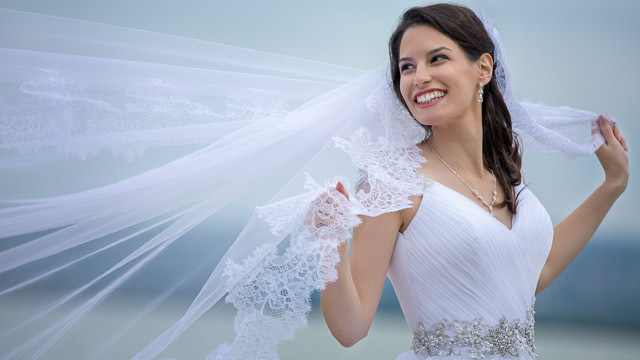 Brides spend between 20 and 800 euros on wedding jewelry, including earrings, necklace and a bracelet. 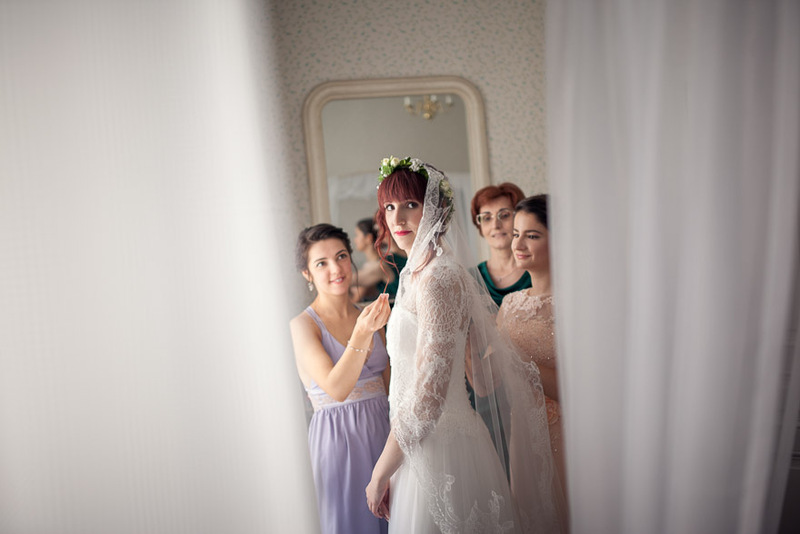 Make-up and hairdressing will cost another 150-300 euros for brides. 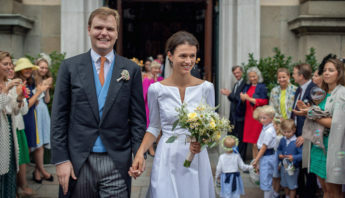 The groom’s clothes, including a wedding suit, shoes and a tie, are considerably less expensive than the bride’s outfit, grooms spend 500-1,000 euros in Germany. Regarding floral decorations, including floral arrangements for the church and car, table decorations and the bridal bouquet, you have to count with at least 500 euros in Germany. A bouquet itself costs 80-150 euros in Germany. The overall cost dedicated for the decoration of the wedding venue is usually higher of course, as you might need vases, candles, candlestands, etc. Wedding invitations and all the stationaries, including newspaper ads, church booklets, invitation cards, menus, place cards, thank you cards and a guest book is around 400-600 euros. You have to spend 1,500 – 2,500 euros on a good wedding photographer in Germany for a full-day wedding coverage. Weigert Images also offers wedding photography in Germany, at a really good price-quality ratio. Please, check our portfolio and feel free to contact us. Wedding cinematography is generally more expensive than photography, in the range of 1,500 and 3,500 euros, where two or three filmmakers shoot a highly cinematic film. Wedding cinematography packages are available from Weigert Images in Germany, please contact us for more details. Wedding car rental – oldtimers are especially popular nowadays – will set you back with 300-600 euros. You can buy wedding rings between 500 and 2,000 euros in Germany, depending on material and design. You can find DJs from 400 euro, however a good band will cost you somewhere in the region of 1,000 and 2,500 euros. Of course, you have to be careful with very cheap DJs, the quality might not be on par. A dance teacher will charge you 100-200 euro or you can save some money by taking an online dance course. Let’s not forget the honeymoon. If you have a destination wedding in Germany, it is definitely worth staying in the country or otherwise you might travel to an exotic faraway location and spend a couple thousand of euros there. 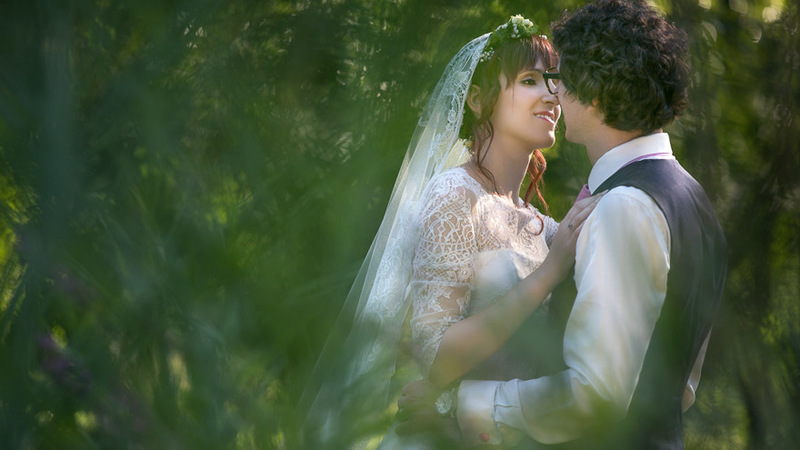 Would you like more info on our wedding photography and wedding film services in Germany? Please don’t hesitate to contact us.